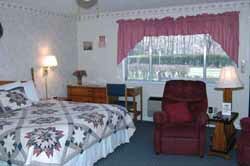 The accommodations at the Chalet are SPOTLESS. Your hosts, Chip and Deborah insist on it. 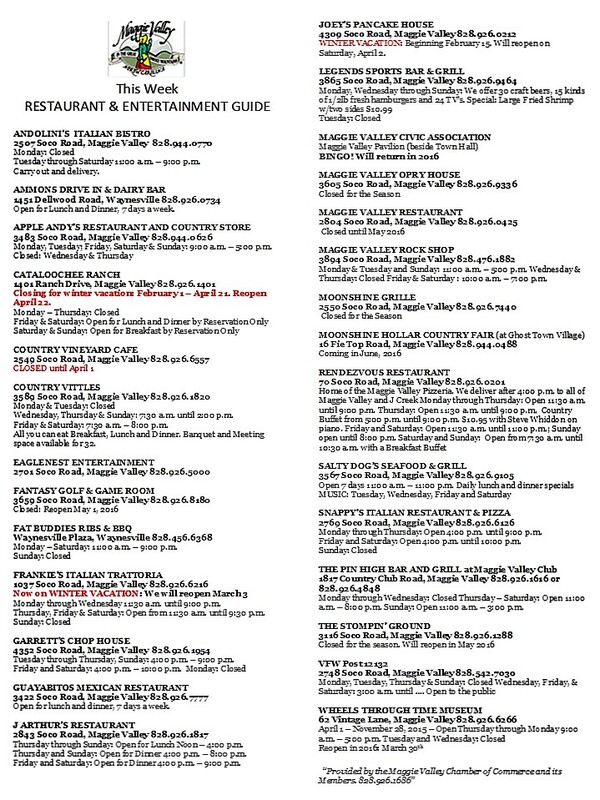 Cancelation policy is clear if you need to cancel please call one day or 24 hours before you are to check in or we will charge your card for the duration of your reservations. 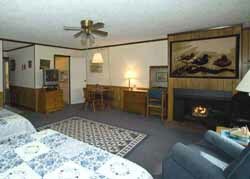 Unlike the typical motel, The Chalet offers a variety of accommodations to suit every need. Two of the units are warm, oversized rooms with two queen beds, a deluxe gas fireplace, a full kitchen, 1 full bath, and both front and back doors plus a furnished patio. 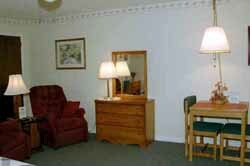 All rooms have color cable TV, and free high speed wireless internet. 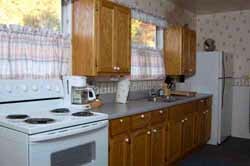 They also include either full kitchens or kitchenettes, recliners, hair dryers, iron and ironing board. All but one of the ground floor units have both front and back doors; all the accommodations have private patios or decks with spectacular views.